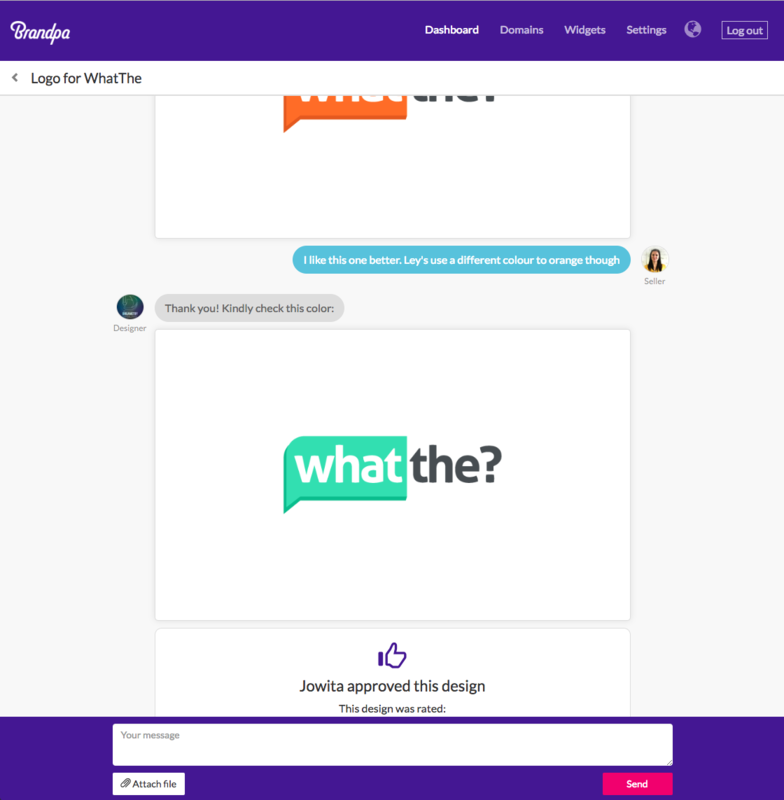 As of today, Brandpa are introducing a new system that allows sellers to talk directly with the designer of their logos, and to approve their logo designs. One of our pre-approved designers is briefed and assigned to your logo automatically. The designer will upload their first design, or ask you a question. Brandpa will email you a notification, and if you’re using Brandpa at the time, you’ll see a red alert in the top-right of the screen. You can then chat with the designer, and if they’ve provided a design, you can click on a button to approve it. You rate the design out of 5 stars. And you’re done! Brandpa will then ask the designer for final assets, create 3D images from them, and make your listing live. To keep things cordial we have introduced some rules for working with designers. If you or the designer has a problem, they can press a help button and a member of Brandpa staff will join the conversation. Sellers have more control over their logos. Domains can be listed faster, wIthout Brandpa being a bottleneck. Right now this feature has to be enabled on your account. We’re phasing it in gradually to ensure it works well for everyone. If you’d like to gain early access and you’re on our Slack channel, send us a message and we’ll add you to our list.